Just fill in the dates for the planning months of choice and erase with damp cloth to make changes. One side perfect for quarterly planning with lots of note space. One side lets you plan or track any four months at one time. Just fill in the dates for the planning months of choice and erase with damp cloth to make changes. One side perfect for quarterly planning with lots of note space. 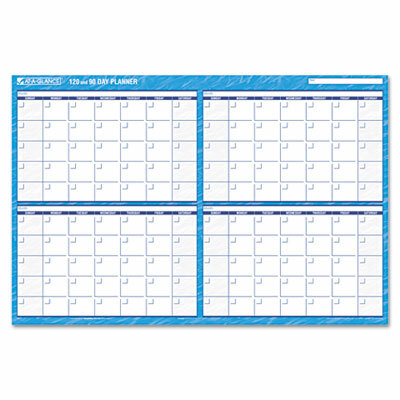 One side lets you plan or track any four months at one time. Use month after month, year after year.